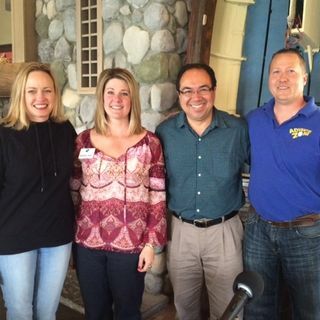 John Gonzalez and Amy Sherman recently spent some time in Coldwater, Michigan, where they learned more about Adventure Zone and local festivals from the Coldwater Area Chamber. On this weekend's show (which aired May 21, 2016), they talked to Matt Stritzinger, owner of Adventure Zone and Dickey's Barbecue Pit, and Nichole Steel, executive director of the Coldwater Area Chamber. Matt talks about the fun you can have at Adventure Zone, plus great BBQ at Dickey's. And Nicole talks ... Maggiori informazioni about local festivals. Both are excited about Michigan's Largest Garage Sale, which is along US 12 and passes through Coldwater. This year it's from Aug. 12-14, 2016.